You did everything you could to avoid it. You cut back on spending. You sold stuff to make payments. You’ve been eating rice and beans for months now. But even with all the work, you’ve come to one painful conclusion—you may need to file bankruptcy. Bankruptcy is confusing, not to mention emotionally devastating. It’s a serious decision, and we don’t want you to have surprises along the way. Here are some things you need to know before you take the first step. Related: If you need help right now, contact one of our financial coaches. Bankruptcy is a court proceeding where you tell a judge you can’t pay your debts. The judge and court trustee examine your assets and liabilities to decide whether to discharge those debts. If the court finds that you really have no means to pay back your debt, you declare bankruptcy. Bankruptcy can stop foreclosure on your home, repossession of property, or garnishment of your wages. Bankruptcy cancels many—not all—of your debts. When you file for bankruptcy, creditors have to stop any effort to collect money from you, at least temporarily. Most creditors can’t write, call or sue you after you’ve filed. However, even if you declare bankruptcy, the courts can require you to pay back certain debts. Each bankruptcy case is unique, and only a court can decide the details of your own bankruptcy. There are two main types of bankruptcy for consumers. You’ve probably heard of them: Chapter 13 and Chapter 7. Chapter 13 means the court approves a plan for you to repay some or all of your debts over three to five years. You get to keep your assets (stuff you own) and you’re given time to bring your mortgage up to date. You agree to a monthly payment plan and must follow a strict budget monitored by the court. This kind of bankruptcy stays on your credit report for seven years. Related: Dave explains where a Chapter 13 bankruptcy falls in the Baby Steps. Chapter 7 means the court sells all your assets—with some exemptions—so you can pay back as much debt as possible. The remaining unpaid debt is erased. You could lose your home (or the equity you’ve put into it) and your car in the process, depending on what the court decides. You can only file Chapter 7 bankruptcy if the court decides your income is too low to pay back your debt. This type of bankruptcy stays on your credit report for 10 years. Related: Dave explains the difference between Chapter 7 and Chapter 13 bankruptcy. 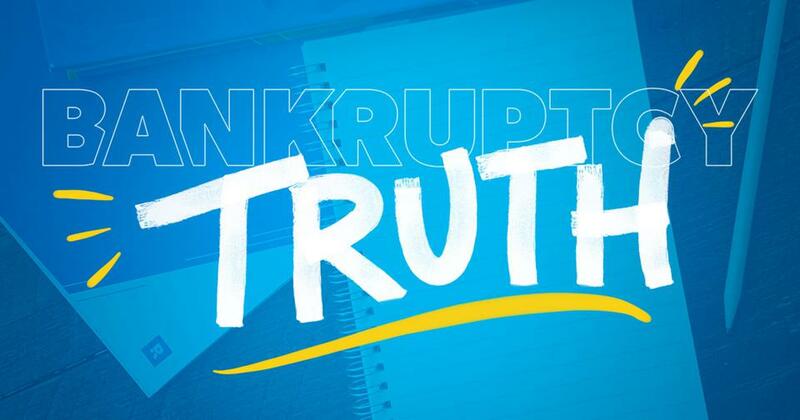 You’ve probably heard of other types of bankruptcy, like Chapter 11. It’s typically reserved for businesses. You may also hear of Chapter 12 bankruptcy, which is for farmers and fishermen. For specific information about bankruptcy laws in your area, visit the United States Courts website. There you’ll find information on the process and where to find help in your area. There is a bankruptcy court for each judicial district in the United States—90 districts in all. Your bankruptcy becomes public domain. This means your name and other personal information will appear in court records for the public to access. That’s right . . . potential employers, banks, clients and businesses can access the details of your bankruptcy. Buying a home could be more complicated. Make a list of all debts, from your mortgage to student loans to child support. For each of those debts, find paperwork to verify the amounts. If you talk to anyone (lawyer or financial coach), you’ll need this information. Before you file, try your best to pay off your debt. Get on a bare-bones budget. 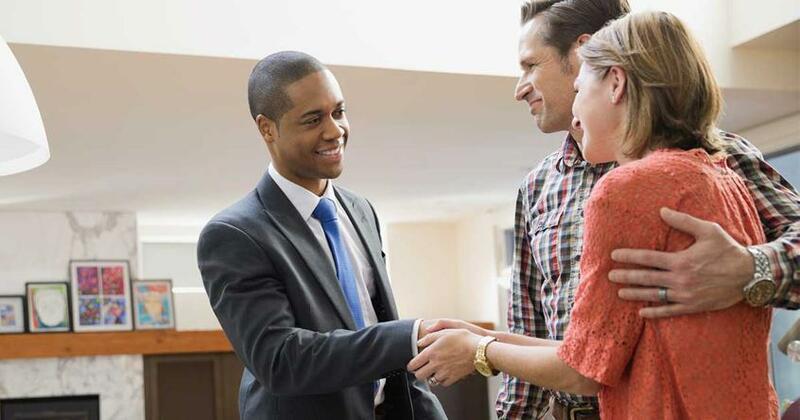 Talk with creditors about lowering interest rates or getting better terms. Move to a smaller place. Get an extra job to pay the bills. You get the idea. A financial coach can give you a different, unbiased perspective on your financial situation. They can talk with you about alternatives to bankruptcy and create a customized plan to get you out of the red. And they can give you encouragement and that extra kick in the right direction! If you’ve done everything you can and still can’t get your head above water, bankruptcy may be your only option. Filing is complicated and involves lots of paperwork and the potential for mistakes. Working with a pro is your best option for walking through the process. How can Ramsey Solutions help you? First, if your family decides to file bankruptcy, we’ll be here to help you during the process and give you the tools to restore your hope after your bankruptcy is discharged. We’ll never get angry with someone for filing bankruptcy. It’s a difficult, emotional situation. We get that. Second, if you haven’t filed yet, we have coaches available to meet with you to find a better option than bankruptcy if at all possible. Our ultimate goal is to help you find financial peace and change your family tree. Bankruptcy is a setback, but your situation—no matter how bad—is never hopeless. Third, if you think there’s any possible way to avoid bankruptcy, we’d like to introduce you to Financial Peace University: a nine-week online or group program that will teach you how to get out of debt the right way. Dave’s #1 course has helped millions of people make a plan for their money, stop living paycheck to paycheck and beat debt for good. This works! Hurry, groups are starting soon. Take the first step to changing your future today!